Back in 2016 Epsylon, Timekeeperz and Me made a cool collab, I played it a few times at gigs but never released it. 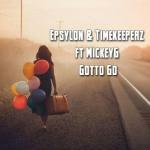 Now that Epsylon is stopping with this name he wanted to release the track for free. Epsylon was my collegue at Gearbox Euphoria and released some awesome music! Sad to see him go, but who knows what the future brings, thanks for the awesome music you brought us!